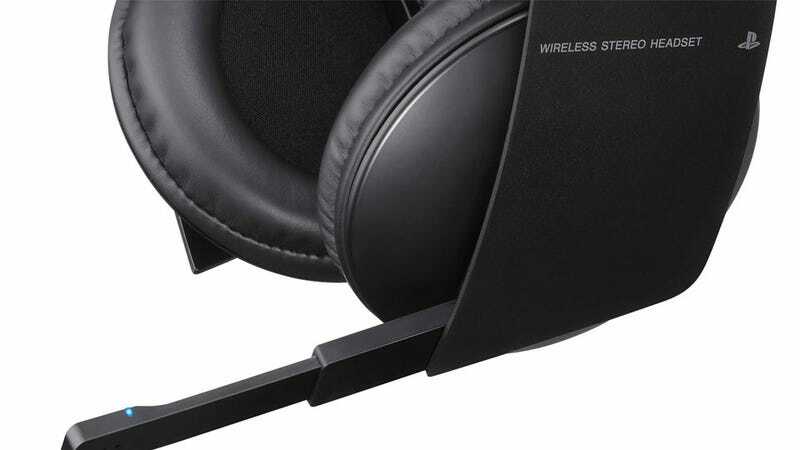 The standard headphone design of "buds and band" is dominated by two massive panels over the earpieces, one there to hide the microphone which can retract within, the other to...balance things out and keep the whole thing looking sharp. The headphones promise 7.1 sound, are wireless and will have complete on-screen displays for stuff like battery levels and sound controls. How good that all works in practice we'll have to wait until September to find out, as they won't be released until then. And when they are, they'll be USD$100. NOTE: Seems our gallery isn't playing nice with the sheer SCALE of these pics. The fourth and final picture is a shot of the entire headphones (the other three details pics), you'll have to click "expand" to see the whole thing.